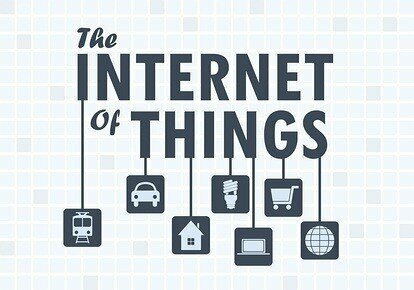 How close are we to the Internet of Everything? It’s a little difficult for us to imagine at this stage: a connected world where everything has the potential to operate online, even your clothes; as difficult, perhaps, as the original concept of the internet was to those who lived before it was introduced. But maybe it isn’t as far away as you might think. Like many of these things, the progression towards it will be slow, and we’ll likely see the idea evolve in series of distinctive stages. If you look close enough though, these stages have already begun. The smart phone revolution is obviously the first step, and we’ve seen this technology become the norm across the developed world. Alongside that was the introduction of public WiFi, which is available in a range of train and bus services. The next stages are already developing around us: cars are now going online, self-parking technology is being perfected, and some washing machines are now also connected to the internet. Things like Google Glass may look like something out of a Science Fiction movie, but they may well be the must have accessories in years to come. What next? Well, plenty of things. After the various stages are completed and the fully operational Internet of Everything is more recognisable, we may see a world where your car already knows the route to work before you do and plans according to traffic, your fridge tells you you’re low on milk or that your diet is too salt-heavy, or your tennis racket texts updates to your phone on how your form is improving. It has the potential to stretch into almost anything you can think of. Like the original internet, it will bring an entirely new way of doings things, which will of course affect all aspects of business and commerce. In a recent interview, future technology expert Kevin Parker said that “Data is the new oil: extract it, refine it and fuel your business with it.” Harnessing the network for your business will be the key to surviving the revolution. But the operational aspect of companies won’t be the only thing affected, and economics as a whole may find itself in mid upheaval. Business technology futurist Jack Shaw believes that the growing network will herald a new wave of digital currency, for example Bitcoin. “The advantage of Bitcoin,” he says, “is that it has an unchangeable public record, meaning every transaction can be traced. We could get to a stage where business deals are brokered entirely online by an intelligent agent that’s been told to find the best deal of its own accord.” This will be key to the distant future of the Internet of Everything: things that operate without the need for our express direction. Q: So thinking about the “Internet of Everything”, which is the next aspect of our life that will involve the internet? A: That is rather hard to predict because so many developers are working on such a broad range of concepts and ideas. With the massive use of mobile for the Internet these days, however, it could well be something to do with our mobile activities, such as things used in transportation, or our clothing. But given that anything could be connected to the Internet, it is largely down to the imagination and creativity of developers. Q: How long do you think it will be until pretty much everything we use is part of one giant online network? A: That will take a long, long time. For a start, half the world isn’t even connected to the Internet yet. Even within countries like the UK where there is high penetration of the Internet, a sizeable proportion of people have no intention of ever using it. Over time, that will change, of course. But there are economic considerations as well as attitudes – some people and many countries simply cannot afford widespread Internet usage. Plus the way the control of the Internet is going, it looks increasingly likely that the global network is going to be broken up into several smaller interconnected networks. We may be living in the era of greatest connectivity ever known at the moment. Q: What do you think it will mean for traditional media? Will things like paper be obsolete in a couple of years? A: The “death” of paper has been suggested ever since the invention of computers. Yet every year, paper sales go up and up. Far from reducing our need for paper, computing in all its guises has increased our need for paper. There is also an important psychological factor involved here. We live in a three dimensional world and the Internet is two-dimensional. People like to touch things, feel them, experience them. Studies show that when people print things out and read them, rather than experiencing them solely on screen, they have a different kind of experience. Indeed, around 15% of people are what psychologists call “kinaesthetic”, which means they can best experience the world around them through feelings and touch. Some of these people even print out emails to decide how to answer them. So paper is unlikely to disappear any time soon. What the Internet of things really means for traditional media is the overwhelming need to be even more creative and to change the way they work to be able to respond even faster than before to changes in the way people use the Internet. It is about the way the media is organised and structured and the kind of people it employs more than anything else. Q: How will it affect businesses? A: The whole arena will put some businesses out of business. It will also change who runs these industries. For instance, online retail was not invented by retailers, ebooks were not invented by publishers, blogging was not invented by content producers. In other words, traditional industries that have been around for centuries found their world dramatically changed by imposters. Yet, they failed to come up with these ideas themselves. Indeed, the whole field of search was invented by a couple of computer scientists, yet the world of search prior to that was dominated by the Yellow Pages, who failed to come up with the idea of web search themselves. Traditional industries in a wide range of sectors are finding themselves too stuck in their ways, too slow to react and facing competition from unknown quarters. With the rapid rise of the Internet of Things we can see even more than this. The result will be one of two things – either traditional businesses and sectors will die, swallowed up by the upstarts, or traditional businesses will rapidly change the way they work and operate. We can expect to see many well-known businesses disappear and others dramatically change. What is for sure, though, is that change is inevitable and it will come fast. Henri Pearson is a Content and Online PR Executive.